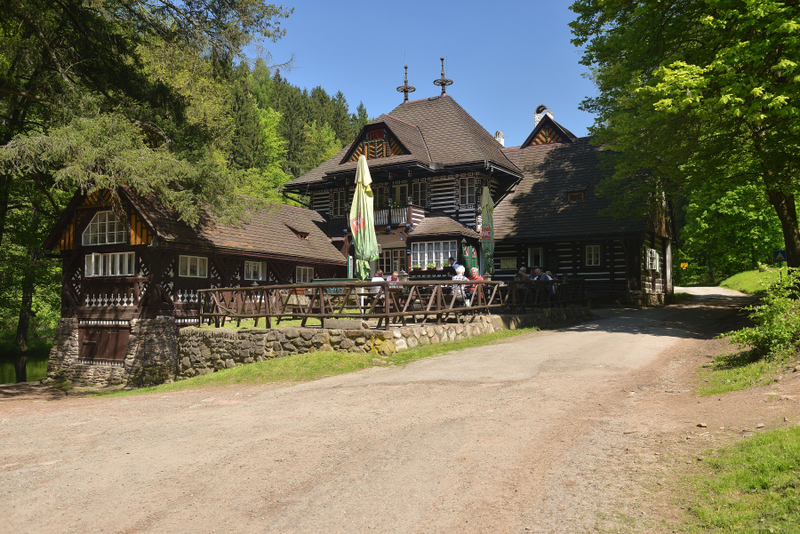 The restaurant “Bartoňova útulna” is located in Peklo Nature Reserve Valley, on the confluence of Metuje and Olesenka rivers. The name “útulna” means a cosy lounge for incoming tourists. In 1910, there was an old mill which was reconstructed for Josef Barton, the factory and castle owner. 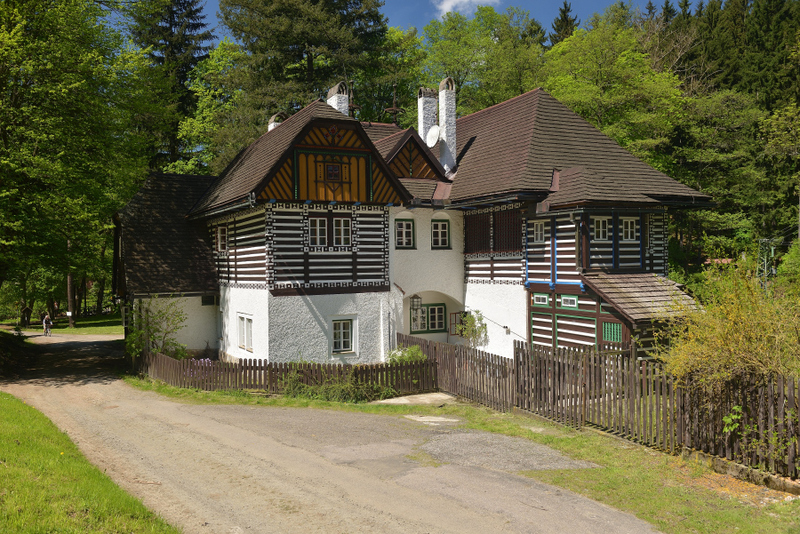 The tourist restaurant was designed by architect Dusan Jurkovic in folk Art-Nouveau style. This building served as a refreshment point for the earliest pioneers of organized hiking even at the end of 19th century. The owners of the mill served the passing-by tourists water, beer and cheese. A dance floor was also available. Nowadays, the reconstructed restaurant offers its guests various services, ranging from catering to accommodation. For more information visit the official restaurant web page or Facebook profile.